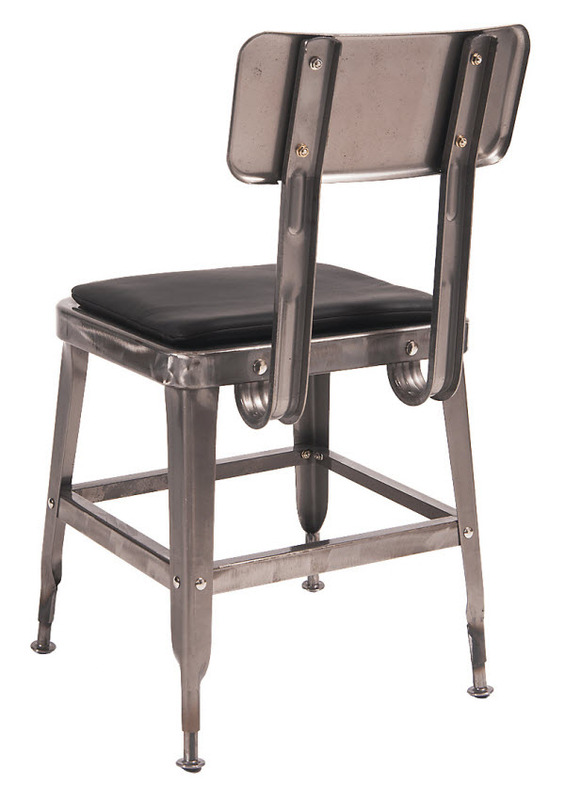 Whether you operate a restaurant, bistro, café, or pub, industrial style metal restaurant chairs offer a fashionable and comfortable seating solution. This metal chair alone will transform even the dullest décor and add a pinch of color to any interior. It's versatility matches all style furniture and therefore perfect for use in most indoor commercial settings. 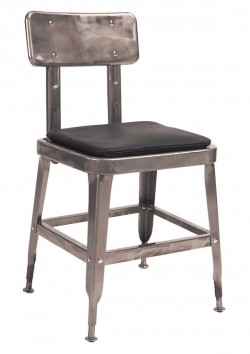 This metal chair undergoes a superb welding process full of solder joints which is then supplemented by a scratch resistant, durable and beautiful clear finish. Presented in a ergonomically curved backrest, and padded seat with black vinyl upholstery,this restaurant chair delivers a comfortable seating experience. You can achieve a cohesive look for your decor with a matching bar stool.